“The ideal job was in an office. Wear a tie,” Hau Doan recalls of his Vietnamese immigrant upbringing. 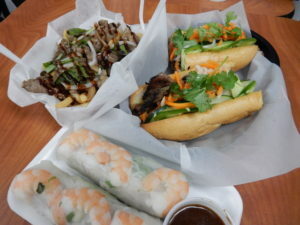 Fortunately for Charlotte lovers of Viet street food, he’s taken a different path. At age two Doan fled South Vietnam with his family, hidden in the bottom of a fishing boat. They washed up in Malaysia then made their way to Virginia — “America, where the streets are paved with gold,” he says, chuckling but serious. His parents sacrificed to send him to Virginia Tech for a degree in finance. He wound up in Charlotte where relatives had opened one of the city’s first nail salons in Dilworth in 1994. He was making good money working in financial firms. In 2016 the love of food, plus the challenge of building his own business, won out. 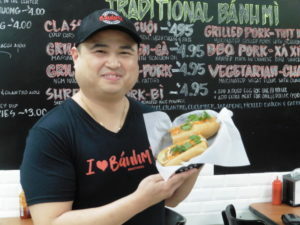 He opened Banh Mi Brothers with younger sibling Luan. Their menu honors tradition but offers new twists. Appetizers include summer rolls, chilled and plump with shrimp and pork. But you’ll also find pork rinds with seasoning borrowed from Thai tom yum soup. The banh mi — sub sandwiches — feature toasty french bread stuffed with veggies and your choice from a variety of meats. Some are expected: grilled pork, lemongrass chicken. But there’s also porchetta. It’s roasted pig, inspired by both by Italian tradition and Viet New Year’s cooking. Least expected dish? The Pho-Tine. On a college jaunt to Montreal, Doan and pals discovered poutine, Canada’s signature gravy-and-meat-smothered french fries. Doan reduces Vietnamese pho soup to a roux and adds slices of beef, creating his own new comfort-food favorite. “Mom’s still not sure about all this,” Doan laughs. 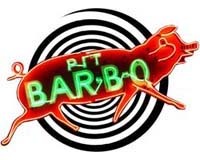 Tuesday – Saturday 10:30 a.m. – 8 p.m.